On February 3, 2016, Hoopes Vision acquired Utah’s first Zeiss VisuMax® Femtosecond System. 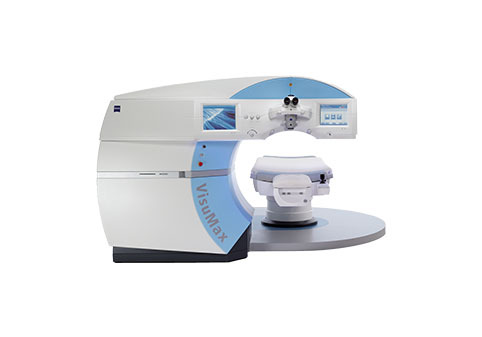 The VisuMax is a state-of-the-art femtosecond laser platform, capable of creating corneal flaps for blade-free LASIK as well as tissue graft and site preparation for laser-assisted cornea transplants such as those performed by the cornea specialists at Hoopes Vision. Most notably, the VisuMax is the only device capable of performing a new type of surgery that may point the way toward the future of laser vision correction: the ReLEx® SMILE procedure. SMILE (short for small incision lenticular extraction) is a procedure wherein the femtosecond laser bladelessly “creates or sculpts” a thin, lens-shaped section out of the central layer of the cornea. This section, or lenticule, is then extracted by the surgeon through a tiny access incision that is also created by the femtosecond laser and is 80% smaller than the cut required to make a flap for LASIK. The result is a surgery that can provide the same outstanding vision as LASIK but with potentially an even faster, more comfortable healing period and no flap. Many surgeons in Europe, where SMILE has been performed since 2014, consider it to be the third generation in the evolution of laser vision correction after PRK and LASIK. Hoopes Vision was the first center in Utah, and one of the first practices in the United States, to perform the SMILE procedure.